A decision to but your dream home is characterized by different factors like cost, location and design. The possibilities are endless in making your dream house a reality. But the question is, “Is it really possible for you to find your dream house with the best deal, in a superb location and of unique design? In Central Orlando, finding a dream home is as easy as one, two, three – the variety of the choices in a home you are looking are endless. Although, price may vary from too expensive to relatively low that these homes are booked as soon as they are listed. There are many questions that arise in buying your dream home, like, how do you stay ahead in the real estate market and purchase your dream home without sacrificing too much money? Can you find a great deal in the Central Florida area? How do you beat other competitors in closing a deal over a great home? Let’s be realistic, in present day, Orlando’s real estate market is ever evolving, in fact in a very fast manner that deals are closed immediately and at times, multiple offers are credited to one home. But don’t get your hopes down, this does not mean that you may not be able to find the home of your dreams, but turn it into something positive. Even if there are multiple home buyers searching online for the same property as you do, it does not entirely mean that the property will work for them. Eventually, home sellers will give a value far lower than originally listed and will be willing to come with a deal with you for the property listed online. Question: How can you find the best deal in the real estate market in the Orlando area and be the first to know when the best deal is available? At the point, we come in as your confidant and your right hand in choosing your dream home. Our goal is to provide you with the expertise that you need in the real estate market. We have the firsthand experience when it comes to the real estate market of Central Florida. We will give you the expertise we have gained over the years working in the market for a long time. In giving you our professionalism and expertise, you will be the first to know the best properties in the market today and will be delivered to your inbox as soon as these properties are listed. Putting it simply, you are ahead than your competitors for your dream home. Not only that, you can make use of my perception as an expert to provide you with enough information regarding the market. 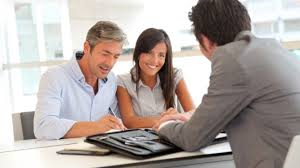 And once you have made your choice, I will give you much needed assistance during negotiating for dream house for you to get the best deal there is. We will show the steps in buying a home with the help of an Orlando- based Real Estate Agent. Let’s Meet. It will only take me 10 minutes to explain to you how I work and discuss our goal as we work together in finding your dream home. I will also explain to you the advantages in working with me and finding the best home deals in the Orlando area. I will give a free list of the current and available listings in the market that is suitable for you and your needs. Setting-Up. One of the great advantages of working with me is that we have access to the different home listings in Orlando area. We are constantly updated with the latest and available listings and we will immediately inform you as soon as a great deal is available. I will set up in our system, this way you will be immediately notified when a great deal that is suitable for you arises. Working Together. It’s a personal choice to work with me, but I can assure you that I will be in every step of the way as you choose your dream home. I will accompany you in searching for properties that fit your personality, lifestyle and of course that you feel homey with. We will work together in finding the right value for your money and keep updated with the latest listings once it hit the market. No Pressure. Indeed, no pressure. All you have to do is to sit back and relax, as we will be the ones looking for great locations and the best deal for your dream home. We will not pressure you to buy unless you are ready to do so. Be Ready. Yes, be ready to seal the deal. Most of the great deals and attractive homes do not last long in the market. I will be with you all the way during the negotiations and share my knowledge in order to get a fair market price and seal the deal. The best thing about this is that you can avail of my services that equals to no cost at all, since it’s the seller that usually pays up the commission. Contact me now. It’s FREE! I will provide you with buyer’s consultation and a list of the current listing for free.